If you are skilled at nothing then this would be difficult for you. You should be able to identify the skill that best fits into that need and ask yourself if the skill required is “FUN” to you and others. Don’t try to do what others have done, if you will look for another way to do it. Attach this skill to a greater course and it will be possible to sustain a passion long-term. I learnt to write as a child in order to express thoughts or impacts other literature had on me. My dad made is mandatory for us to keep “quiet time” notes and even flogged us for not strictly keeping it daily. Years after, I discovered it was easy for me to organize my thoughts better by expressing them in writing. Later I discovered I could spend a lot of time writing poems and short stories. Later I discovered the great influence writing had on the way we lived and communicated, the influence it had on the values we hold. I believe its a strong enough reason to invest time and effort into building a career around this skill. The question that we must be able to answer when it comes to picking a career path is “Why does this skill matter?”. It is the simple question that diagnoses the existence of a market or audience for what your career-product is. 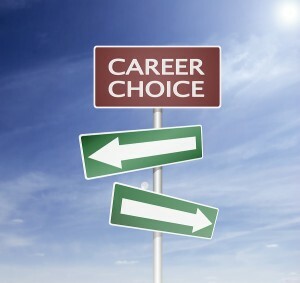 This is the first and very important step in choosing your career path.